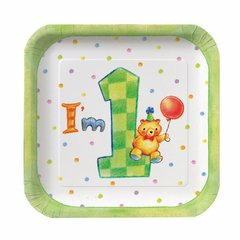 My 1st Happy Birthday Party Beverage Napkins 16ct. My 1st Happy Birthday Imprintable Party Invitations 8ct. My 1st Happy Birthday Party Thank You Cards 8ct. My 1st Happy Birthday Party Loot Bags 8ct.